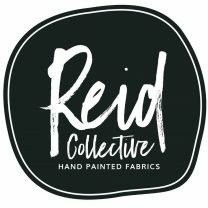 Meet Lindsay from Reid Collective, our newest supplier! 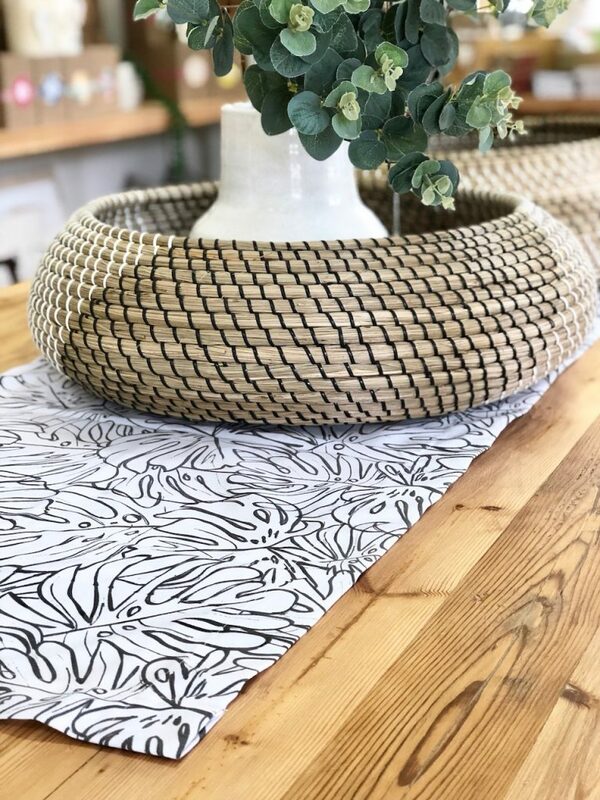 We are now stocking her gorgeous range of handprinted teatowels, napkins, table runners and soft pots in the delicious print, created as part of a collab between Abide Creative and Reid Collective. 1// How did your business begin?? Tell us the story so far..
Reid Collective was born 3 years ago, but our business was started 23 years previously by Sue Sylvester. I took over her brand and renamed it Reid Collective. I have always had a love for colour and design and have had fun creating beautiful products. Our team is made up of previously disadvantaged ladies who have been upskilled to paint, sew and package our pretty products. Our heart is to create employment in our area and use our skills to support and provide for our families. 2// When you were younger what did you want to be when you grew up?! When I was very young I wanted to work in an office and have my own computer like my mom and dad. At some point I wanted to be a marine biologist ( that was the popular thing to be at the time ) I am not a huge fan of sea creatures and wouldn’t be caught dead swimming with the sharks so that was clearly not going to work out . 3// What inspires you when designing new products? 4// What’s the most valuable lesson you’ve learnt so far in your business journey? Shew – this is not my first business, I ran a smaller one man band before this and the lessons just keep coming. At the moment my most valuable lesson has been to network network network. I have learnt that the saying “its not what you know but who you know” is in fact pretty true, connections and collaborations are vital to keeping you going. Running a business alone is not easy and trustworthy connections can go a long way in keeping you sane and on the right track. Two is better then one and three is even better. 5// What’s your favourite product from your line and why? 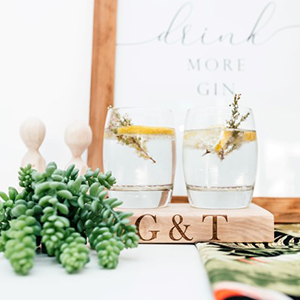 My favourite product is definitely our tablecloths – our family share dinner together at our table every night, dinning rooms bring people together, old friends can laugh and enjoy each other and new friends can be made. 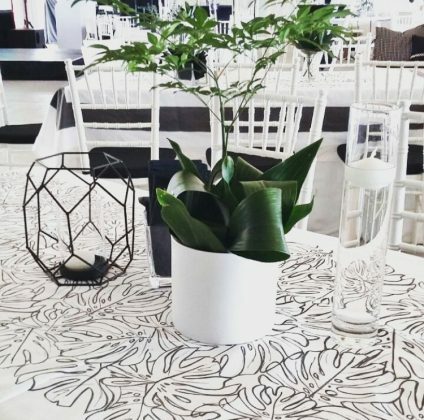 The heart behind our tablecloths is to encourage people to share time together around meals and it makes me happy to think it will be done around one of our designs. 6// We chose the Delicious Monster Range for The Ruby Orchard, tell us a little about the design. I first met Jenn from Abide Creative when I spotted her wallpaper from across the ECR Garden and Home Show, I immediately decided I needed some for our guest toilet. 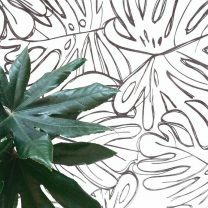 After admiring it for many months we finally got to chat and decided to put our skills together and turn her delicious monster design into beautiful textiles – this is how The Collab range was born. We have loved screen printing Jenns designs and our clients keep coming back for more of it. 7// About you! What is your – Top Song? Top Food? Top beverage? Top Place? Top movie? Top food – definitely chocolate – not a food as such but its my absolute best thing to eat. Top place – home … game reserves for sure. Top movie – Notting hill. 8// Write one truth and two lies about yourself… let us try and guess the truth! I love swimming and am hoping to swim the midmar mile next year. 9// And lastly imagine you are heading out for dinner with a bunch of creative geniuses – who would be sitting around the table with you? Look out for the Abide and Reid Collective Collab range in store.